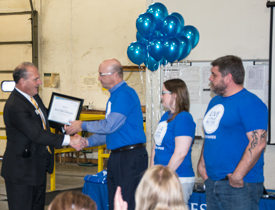 Employee-owners at Apache celebrated as the company was named a Blue Zones Work site® on Tuesday, November 17. The celebration included a designation ceremony and luncheon, which was attended by Cedar Rapids mayor, Ron Corbett. Blue Zones Work sites maintain work environments that promote and encourage employee well-being. These work sites commit to actions to improve the well-being of their employees in several different areas including physical health, social health, and mental health. 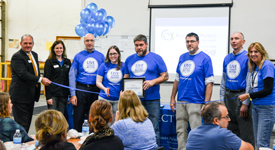 Apache accomplished this designation through active employee participation in numerous wellness oriented activities aimed at creating a healthier workplace. A few highlights include the addition of incentives to promote healthy lifestyle choices, monthly Walking Moais, and a vending machine with healthy snack options. In June of this year, Apache was the recipient of the Iowa’s Healthiest State Small Business Award, presented by Governor Terry Brandstad and members of the Iowa Department of Public Health. The active wellness team from Apache has additional activities and events underway to promote and maintain healthy habits through the holiday season. Brought to Iowa through an innovative sponsorship by Wellmark Blue Cross and Blue Shield, in collaboration with Healthways and Blue Zones®, Blue Zones Project is a community-by-community well-being improvement initiative designed to make healthy choices easier through permanent changes to environment, policy, and social networks. 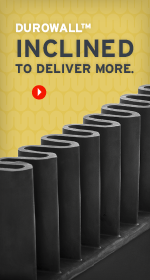 Apache Inc. is the national market leader in fabricated belting products, cut and molded rubber, hose products, and industrial consumer products. A 100% employee-owned company, Apache and its subsidiaries serve customers throughout North and South America, in addition to Europe. For more information about how to become a Blue Zones Worksite, contact the Blue Zones Project team at 319.270.8651 or visit www.bluezonesproject.com.